Mr. LaMusga has represented clients with issues involving family law, criminal defense, business formation, estate planning, probate, Indian law, Social Security Disability, and general civil litigation. He focuses on representing individuals in difficult and trying situations because he finds representing people through some of their most challenging life experiences to be rewarding. Asa seeks amicable resolution where possible in order to reduce conflict and costs while obtaining the best possible results for his clients, but he also enjoys litigation in order to hold others accountable when they fail to do the right thing. 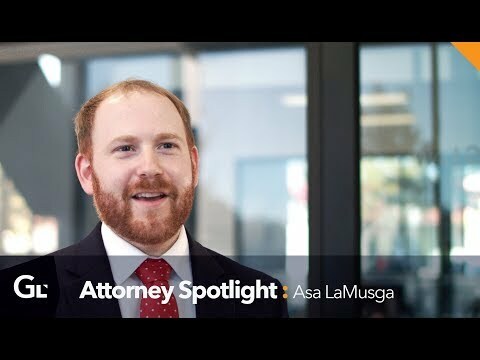 Mr. LaMusga is licensed to practice law in Washington and Idaho, as well as federal court in the Eastern District of Washington. He is a member of the Washington, Idaho, and Eastern District of Washington bar associations. He is also accredited by the US Department of Veterans Affairs to represent veterans regarding VA matters. Born and raised in Olympia, Washington, he received his Bachelor of Arts degree in Political Science from the University of Washington in Seattle, Washington. While at the UW, Mr. LaMusga was a fellow at the Center for American Politics and Public Policy. After moving to Spokane, Washington to attend Gonzaga University School of Law, he received his Juris Doctor degree in 2012, graduating early from the program. During law school, he was an intern at the Federal Defenders of Eastern Washington and Idaho and at University Legal Assistance. Upon graduating with his law degree he became an associate attorney at the Spokane law firm Russell & Hill, PLLC and later became an associate at Clearwater Law Group in Kennewick, Washington. Currently, Mr. LaMusga proudly serves as a Partner at Gravis Law for the Pacific Northwest.